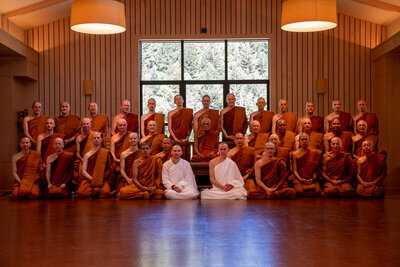 picture: Large sangha gathering, Abhayagiri Monastery, California, USA. The Abhayagiri community recently marked the opening of their new Reception Hall by inviting a large gathering of sangha and members of the extended community to join in several days of Dhamma reflections and practice. For more details visit the Abhayagiri website.